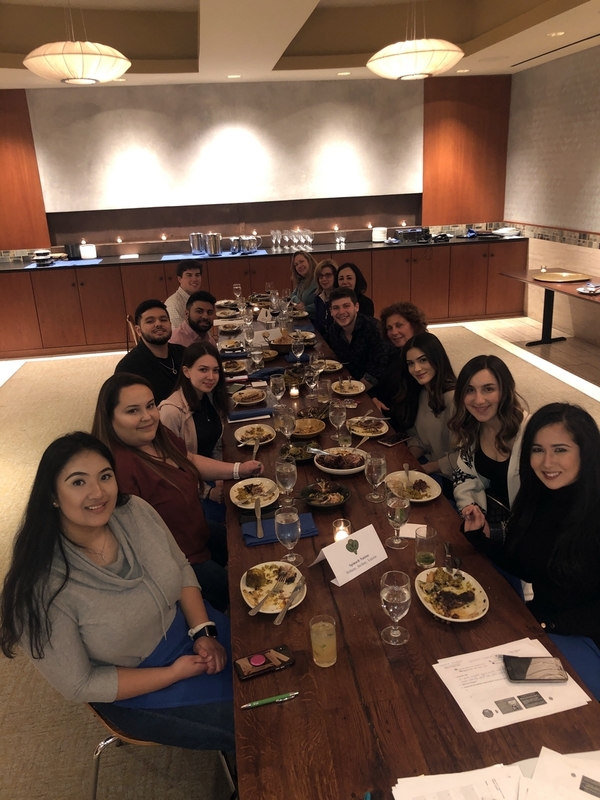 Rutgers University–Camden students gathered in February for a delicious lesson exploring religious and ethnic diversity and inclusion through food at Philadelphia’s Zahav, widely regarded as one of the best Israeli restaurants in America. But the Rutgers–Camden students – comprised of four male and eight female students of Muslim, Jewish, and Hindu descent – were just whetting their appetites. The trip to Zahav was the first taste of a Learning Abroad course called “A Taste for Culture,” which will continue March 14 to 23 in Spain, and is designed to foster racial, ethnic, and religious understanding, one bite at a time. “As a larger force field than class or nation, food shapes ethnic, cultural, and religious identity, reinforcing social distinctions, cultural affinities, and patterns of inclusion and exclusion,” says Ana Laguna, an associate professor of Spanish at Rutgers–Camden, who created and is leading the course. Laguna explains that Spain is a vivid example of how the fight for food has fueled revolutions, reflected economical shifts, and caused political change in every community on the planet. The Rutgers–Camden researcher notes that, for more than seven centuries, the country’s extraordinary diversity made it one of the most powerful nations in the world. Joanis Lopez, a double major in childhood studies and psychology, says that she looked forward to visiting Spain, where she has always dreamed of going, as a way to “do something unforgettable” and challenge herself to delve deeper into a culture beyond her own. Lopez notes that Laguna has already taught students a great deal about how food can shed light on individuals’ values, their social relationships, and even conflicts between peoples, throughout history. For example, says the Rutgers–Camden student, in 16th-century Spain, when there was a lot of social mobility and revolt, the type and amount of meat one ate affirmed their status in society. Food, she continues, speaks to the history of a group of people and the place where they live, and this understanding has left her craving more.